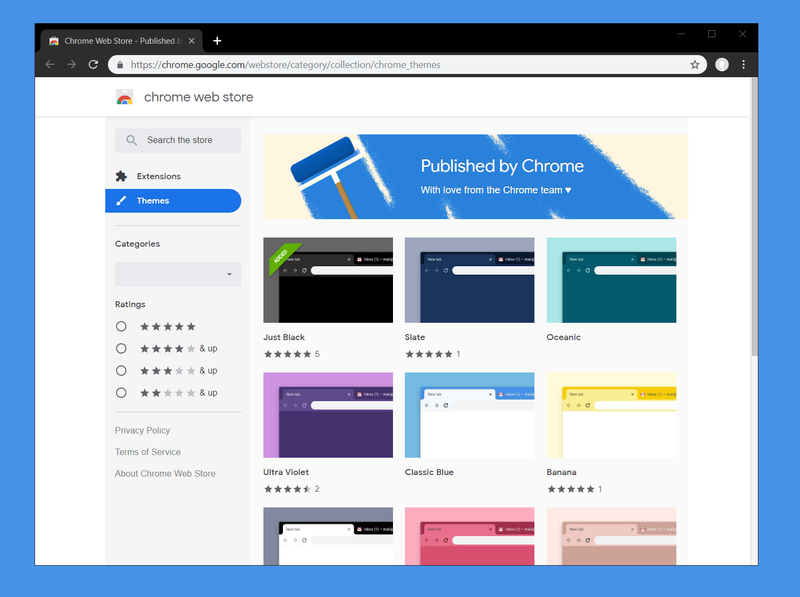 Google just made available a pack of 12 free themes for the Chrome browser in its web store. With the available themes, the users can change the color of their main browser window according to their preferences. The themes include the Ultra Violet color scheme, Oceanic, Banana, Black and White, and Classic Blue. Interestingly, the search engine giant has also introduced a full black version to the theme pack while it is also planning to roll out the dark mode for Google Chrome. However, there are no specifics given when the dark mode will be available and until then, the users can use the ‘Just Black’ protocol to soothe their eyes. Besides the highly anticipated dark mode, Google is also working on several other improvements specifically for the web browsers including tab previews and reduced resource usage. To configure the new theme pack, simply head over to Settings>Appearance>Themes. Installation process for the themes is easy and does not require much clicks or time. Just open the one you like and click the Add to Chrome button in the Chrome browser. Google allows users to add as many themes as they like and you can enable the one you prefer by following the method above.